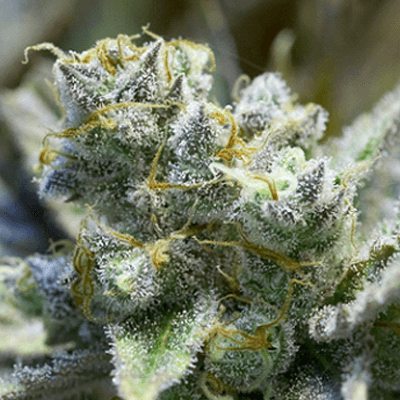 Hybrid seeds – it is all in the name – are partly Indica and partly Sativa. The only thing that varies per hybrid seeds strain is the percentage of Indica and Sativa. Pure 100% Indica or Sativa strains are hard to find nowadays, the most common strains are hybrids. In this range, AMS has only the best hybrid seeds for sale with a perfect balance of Indica and Sativa. What exactly are hybrid seeds? First of all, there are two types of cannabis that are enjoyed to relax, have fun, to feel happy and they are also used medicinally. We are talking about Sativa and Indica. Our hybrid seeds are a cross between these two different types. This is why it is possible for growers to pick from a wide range of seeds, specifically suited to certain circumstances. To be more specific; hybrids can be suited to particular conditions like outdoor climates or indoor growing situations. 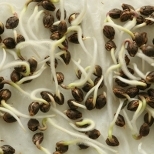 While developing hybrid seeds, certain effects can be created or enhanced. Some of the hybrid seeds for sale at Amsterdam Marijuana Seeds (AMS) are mixed to increase the yield, flavor, and the looks. Every now and then our breeders succeed to make a perfect hybrid, which has the looks, great flavor, and lots of yield. For example, our Limoncello Haze Auto Fem. This is a mix of Lemon Ice and XTRM Super Silver Haze. The citrus flavored Haze knocks you off your socks, while it produces enormous amounts of buds. It also grows very dense and the yield is fantastic. AMS’ hybrid seeds are famous for their excellent quality. Anyone can experiment with developing new hybrids in their own growing space. But you should know that creating a new and stable strain is a very long and often expensive process. AMS works with the best and most experienced growers who have the right skills to create excellent hybrid seeds, so we can offer an excellent hybrid seed production for a good price. Are you looking for quality hybrid seeds, from a seed bank with worldwide delivery? Welcome to Amsterdam Marijuana Seeds. We are the best marijuana seeds supplier in the world, straight from the capital of marijuana, Amsterdam. Being a supplier for more than 15 years, we provide excellent hybrid seeds and excellent service to you. To start your hybrid seed production, we have to make sure you receive your hybrid seeds and you receive them in the best conditions. Our products are shipped worldwide and we only use registered mail, so we can guarantee you receive your order. Most of our orders arrive within 9 to 14 office days. From southern Australia to the west of the USA: wherever you are, you will receive our hybrid seeds. Fun fact: hybrid seeds are legal in many countries. But growing your own strains is a different story. You can be punished for that. When buying hybrid seeds at Amsterdam Marijuana Seeds you do not have to worry: we deliver discreet, in crush proof sealed envelopes with no indication of what the content might be. No one knows you bought weed seeds online. All our packages contain 10 hybrid seeds. Amsterdam Marijuana Seeds is a Dutch seed bank, which started out more than 15 years ago. In all those years we gained lots of experience and wisdom. Our best growers select, develop and innovate our assortment of weed seeds, from medical marijuana to relaxing or exciting weed and hybrid seeds. We also offer different and useful products like fun merchandise, hemp cheese, fertilizer, and vaporizers. As we explained earlier, hybrid seeds are a mix of Indica and Sativa. What are the differences between these two? Well, let’s start with Sativa. The high you get out of smoking this weed is truly energetic. Sativa is best suited for daytime use: it will lift you up and give you energy. When you’re down, it carries you through the day. A characteristic you find in hybrid seeds too. Like some hybrid seeds for sale at AMS, Sativa strains can grow up to 3 meters. 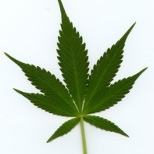 The light green leaves are long and thin, like the worldwide famous marijuana icon. Many of our sativa seeds have won the Cannabis Cup. By selective breeding for years the AMS growers succeeded to optimize the genetics of Sativa seeds for a more successful growth and bigger yields. The other part of the hybrid seeds genes is inherited from Indica. Smoke Indica if you feel the need to relax, if you need a sleep sensation, when you need to calm down. The good part of the Indica genes that are also in hybrid seeds is that Indica provides a deeply relaxed feeling. Indica is known for the relaxing high, caused by the high level of CBD (cannabidiol). Indica is called ‘the gold from the Himalaya’, and not only because Indica cannabis seeds find their origin in countries like Afghanistan, Pakistan, India and the surrounding areas. They also got this nickname because of the high quality. Indica seeds grow wide and stay shorter than sativa plants, which make them perfect for growing indoors. Besides that, Indica strains smell sweeter and stronger than Sativas. As an AMS customer, you will experience we share our passion by selling excellent hybrid seeds, by sharing knowledge and by helping you to grow the best medical marijuana strains. Are you happy with AMS? 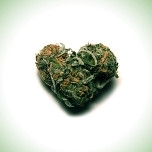 Do you like to suggest us to other weed lovers and enthusiast growers? Leave your review about our hybrid seeds on independent review website Kiyoh. We are grateful for your opinion. Amsterdam Marijuana Seeds wants to pump it up with the hybrid seed production. Therefore, we offer high-quality hybrid seeds. Good news: the prices are affordable and with every purchase you’ll get some seeds for free. Check out our hybrid seeds for sale, they are selected by Dutch top breeders. So, order now! Buy your hybrid seeds straight from Amsterdam.